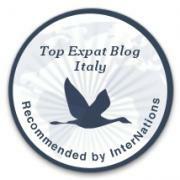 How do you find an agent you can trust and one that speaks fluent Italian and fluent English? I live on the Northwest coast of Sardinia and am totally biased to the emerald hues, red granite pillars of strength and the gracious hospitality from the Islanders. For the last six years, Sardinia has been my home, my sanctuary, my life force and the place my soul has found to rest. The two major airports in North Sardinia are Alghero and Olbia. Both are serviced by low-cost airlines and national carriers. The driving distance between the two airports is roughly 2 hours, but if you’re like me and stop to smell the roses, and you will here in paradise, the drive will be enjoyable. What’s in your wallet is none of my business but expect to buy a property from €65,000 to €3 million; the latter price tag was bought by Roman Abramovich who last year bought a whopper of a villa in Costa Smeralda.